I was just reading The Straits Times a few days ago when I came across this article, “Time to part ways with safe deposit boxes” by Lee Su Shyan, the Business Editor of The Straits Times. The journalist discussed some considerations one should take when placing valuables in safe deposit boxes situated in banks. It also mentioned some of the benefits of purchasing a safe deposit box and placing it in your home instead. Garnering inspiration from this article, I have decided to do some research to help you decide if you should consider purchasing a personal safe deposit box. If you put your valuable items in a bank’s safe, you would need to adhere to the opening hours of the bank. This can be a hindrance, especially when you urgently require some important items in the safe. By purchasing a personal safe deposit box, you can access it anytime you would like. This can also help to save a trip down to your bank! Banks can charge an annual rental rate of $150 – $500 for a safe deposit box, depending on the size. The costs can definitely add up, especially if you are thinking of keeping these valuable items safe for a long period of time. Therefore, if you were to purchase a personal safe deposit box, you can actually save some money. In fact, some of the personal safe deposit boxes at Eezee go for as low as $179, which may be cheaper than the annual rental rates that banks will charge you. Due to many affordable safe deposit boxes in the market, there has been a significant reduction of safe deposit box rental services in Singapore. This means that it will be harder for you to find a reliable safe deposit box near your house or work. With these considerations in mind, the Eezee team has curated three various safe deposit boxes to fit your needs and budgets. You can use this digital safe by SentrySafe to protect your valuables from fire, water, and theft. The safe is equipped with extremely strong bolts and a pry-resistant hinge bar to provide additional security against unauthorised access. The box also comes with organisational tools to keep your box tidy. These tools include a multi-position tray, key rack, door pocket, as well as a door tray. The Morries Electronic Laptop Safe is one of the most affordable options we have, at a low price of $179! The electronic safe has a motorised lock to ensure a safe yet easy-to-use experience. Additional security features are also provided such as a wrong code auto-lock function. Lastly, the pre-drilled holes and screws make it suitable for you to mount the safe up to a wall or a sturdy surface. This fire-resistant safe from Lusafe is perfect for home and office use that requires superior protection. The safe is highly secure with approximately 16 million unique digit combinations. The safe also have two hefty solid chrome plated locking blots and a stationary locking bolt which is pry-resistant. In addition, you can only activate the button of the electronic lock when used by the authorised personnel, making it even more secure. The Lusafe Safe is also extremely stylish with designs such as burgundy wood to grey and black cubes. You will definitely be spoilt for choice at the wide array of modern and attractive designs! 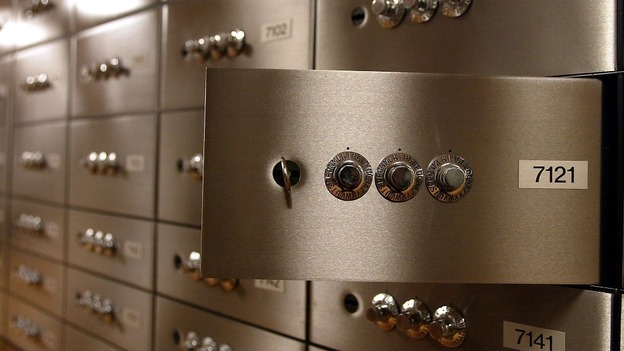 We hope that this post has helped you to consider purchasing a safe deposit box for your home. If you have any other suggestions or comments, please feel free to leave it in the comments section down below.